It seems like this always happens. 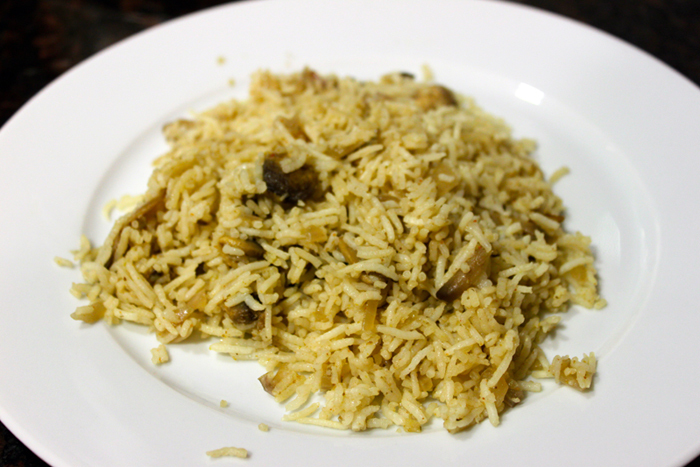 We cook up a yummy dinner (like last nights coconut curry chicken) and we are faced with sooo much leftover rice. This is mostly because our rice-cooker only allows for a minimum of 3 cups of rice… and there is two of us… so the math doesn’t exactly work in our favor. Needless to say, I am always in search of a good way to make use of the the leftovers. Wouldn’t you know it, my friend had a yummy recipe to share! 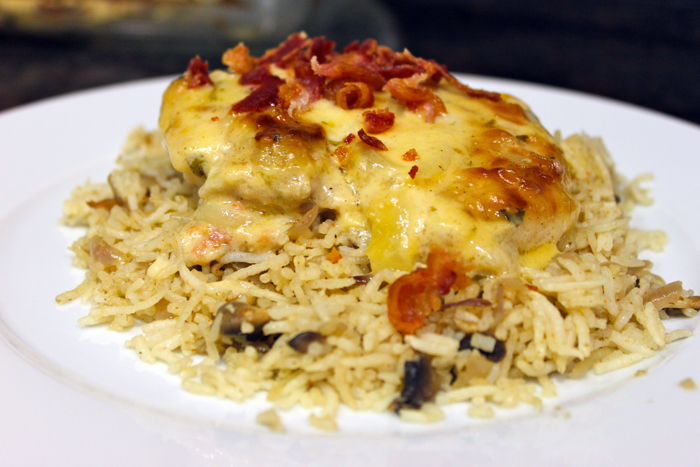 This was a perfect way to utilize the leftover rice we had in the fridge and it worked as a delicious side for a new recipe I just tried out. This is a must-save recipe that I will definitely use again. Heat the oil in a skillet and add the onions and garlic; saute for a few minutes. 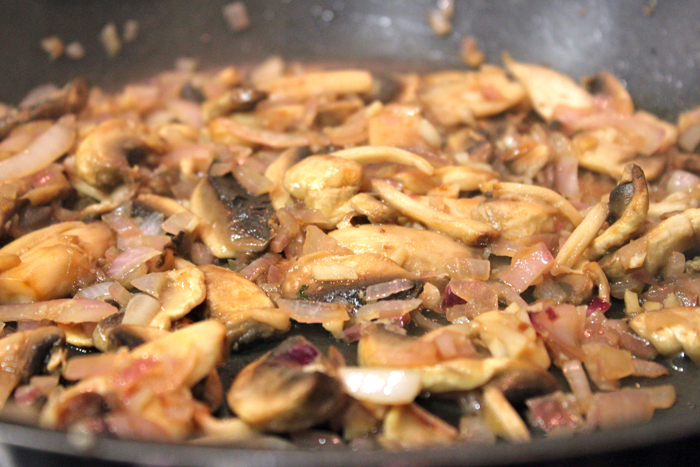 Add the mushrooms and saute. Add in the cumin, coriander, and chili powder and cook for one minute. 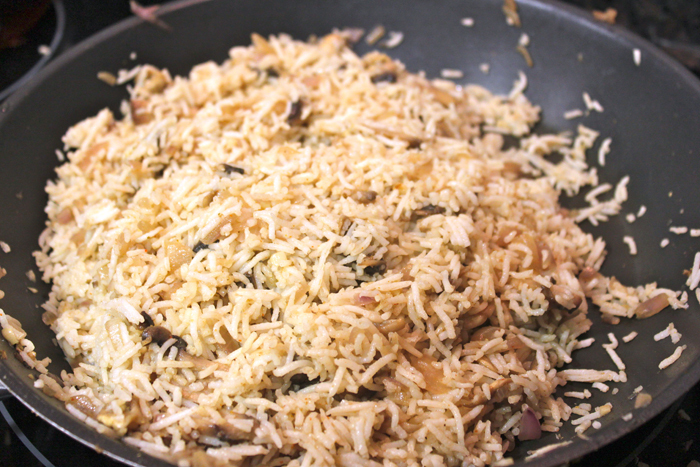 Add in the rice and cook for about 5 minutes stirring to coat with the spices. Add in the broth and cook for an additional 5 minutes (this may take longer if the rice was in the fridge). 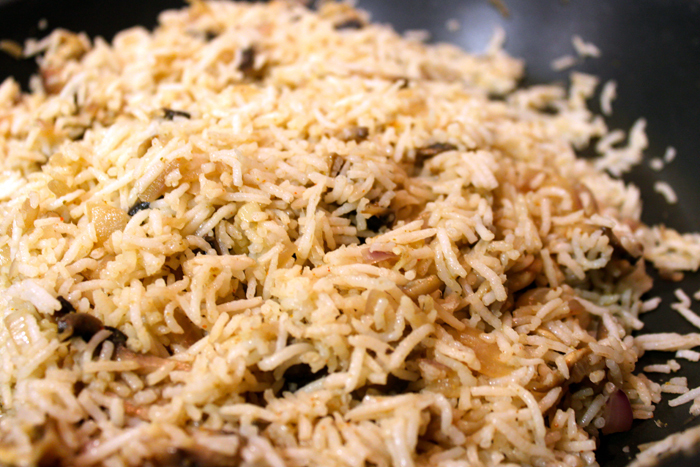 Add salt to taste and garnish with freshly chopped cilantro or your favorite main dish.